This is the fifth entry in the series “Independent Study in World Cinema,” in which this self-educated film nerd attempts to fill in some fairly serious gaps in his self-education. This week, I take a look at one of the greatest performances of all-time, in a film that revolutionized the art of acting on-screen: Carl Theodor Dreyer’s The Passion of Joan of Arc (1928). In attempting to get a handle on world cinema the way I’m doing it—by viewing a few arbitrarily selected films in chronological order—it is tempting to see a ladder of cinematic evolution that probably doesn’t hold together. So far I’ve considered just five early masterpieces from around the world, and I find I have to resist the impulse to view (and discuss) these works as if they were the first five movies in history, with each one adding another vital keystone to the foundation of film as we know it. It’s not a responsible (or workable) approach, of course—obviously, it ignores all the hundreds of important films from the same eras that I’m not watching—but it’s a comforting delusion that I find hard to shake. Ask me about Nosferatu, and I’ll probably talk as though Murnau invented lighting and composition; with Battleship Potemkin, I’m likely to talk about Eisenstein’s revolutionary film editing; bring up Metropolis, and we can discuss Fritz Lang’s unprecedented special effects and production design. Each of these elements seems like that particular film’s gift to cinema, the exact moment when something fundamental was added to the toolbox of every future filmmaker. I mention it here because—in my own inaccurate, wholly subjective, painfully reductive view of film history—we have now reached an important landmark with this week’s entry. 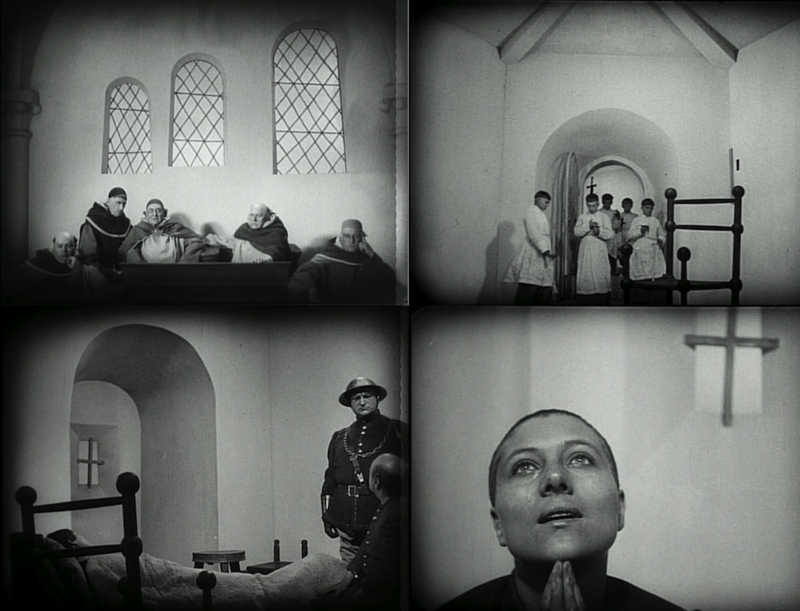 Carl Theodor Dreyer’s The Passion of Joan of Arc (La Passion de Jeanne d’Arc) builds on the accomplishments of earlier filmmakers (like Eisenstein) in ways that are important and worthy of discussion, but those elements are not what seem revolutionary about this film. My knowledge of early cinema is not so comprehensive that I can say no one else had done anything similar, but The Passion of Joan of Arc strikes me as the moment when cinema truly embraced its role as a medium for great acting, and, more specifically, discovered the ability of film to convey meaning through expressions. In short, I suppose I’m saying that—in terms of cinema, at least—it seems to me that Carl Theodor Dreyer practically invented that most important of all cinematic tools: the human face. Jeanne d’Arc (c. 1412–1431)—the peasant maid who heard voices from God and led the French army to several decisive victories against the English in the Hundred Years War —was much in the public consciousness in the years following the First World War. In 1920, Pope Benedict XV had canonized Jeanne as one of the Patron Saints of France, and 1929 would be the quincentennial anniversary of her first (and most famous) victory at Orléans. George Bernard Shaw’s Saint Joan had opened in 1923, an American film version of Shaw’s play had premiered in 1927, and several other films about Jeanne’s life had either already opened or were in production. 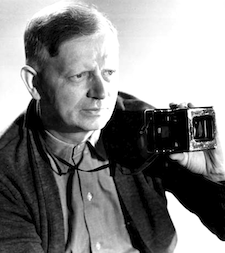 In 1926, the Danish director Carl Theodor Dreyer, who had scored a success in France the previous year with Master of the House, was approached to direct a film for the Société Générale, a fledgling French film company. Several historical subjects were considered, including Marie Antoinette and Catherine de Medicis, but Dreyer and the producers finally settled on Joan of Arc. Rather than attempt to depict her entire life, Dreyer decided to base the film on a transcript of Joan’s trial that had been published in 1921 by historian Pierre Champion (who was hired as a consultant). Dreyer spent a year doing research and pre-production, and shooting began in April 1927 on a massive set constructed in a field southeast of Paris. 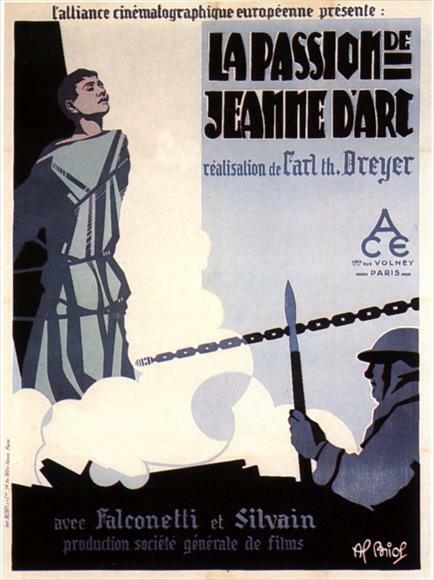 The Passion of Joan of Arc premiered on April 21, 1928 at Cinema Palads Teatret in Copenhagen. However, as explained in “The Many Incarnations of Joan,” an essay on the Criterion Collection DVD, this would turn out to be the only public projection of the complete version of Dreyer’s film. 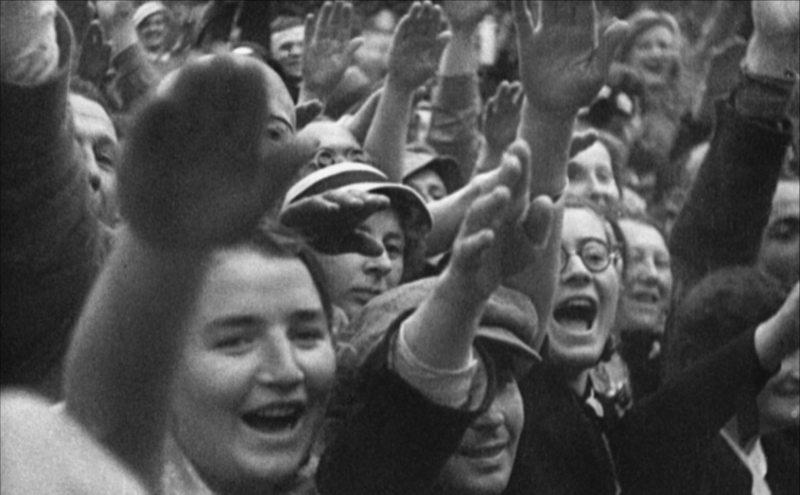 The Paris premiere was delayed until October, due to the French nationalists’ campaign against the film, and by then the Archbishop of Paris and government censors had forced the studio to make cuts due to the negative portrayal of the church. French film critic Léon Moussinac wrote that, by the time the censors were through with their changes, “the public could only see an annoying, Catholic film in which the Rouen tribunal had become almost sympathetic.” The film was a flop, the Société Générale fired Carl Dreyer, and Dreyer in turn sued the studio for breach of contract. The film’s bad luck doesn’t end there: as we look at its history, we see that The Passion of Joan of Arc would suffer a fate strangely similar to that of its heroine: wrongful persecution, condemnation from the church, torture, and even a fiery death. In December of 1928, a fire at the labs where the film was edited destroyed the original negative. Dreyer managed to splice together a complete second version of the film from unused takes from the cutting room floor, but the original of this version was also lost to a second fire in 1929. Some prints survived to circulate, mostly in heavily edited and severely bastardized versions that bore very little resemblance to Dreyer’s original vision. The most ubiquitous of these, for years, was an edit undertaken by French film historian Lo Duca in 1951. (Of this version, Dreyer wrote that “the editor…has tried to make the film more accessible to the general public—by appealing to the public’s bad taste.”) Renée Falconetti died in 1946, and Carl Dreyer died in 1968: both must have gone to their graves believing that The Passion of Joan of Arc was—to all intents and purposes—lost forever. To the new viewer (which I was), The Passion of Joan of Arc is an intentionally—but deceptively—accessible film. Its story, in fact, is simplicity itself: Joan is brought before the Rouen tribunal, asked a series of questions, tortured, and burned at the stake after making—and then recanting—a confession. Though Joan’s actual interrogation spanned 22 sessions over several months, Dreyer collapses the entire ordeal into just a few sessions that appear to take place over a period of hours. Barely a word is spoken that is not taken directly from the transcripts of the trial, and Dreyer invents no extraneous subplots or intrigues to complicate the tale. The filmmaking also appears, at first glance, to be incredibly straightforward—even simplistic. The first thing we notice is that Dreyer is not concerned with anything but the people involved: of the more than 1,500 shots in the film, roughly 80 percent consist of close-ups of faces. There are very few establishing shots in the film, which means that the elaborate set—one of the most expensive ever built at the time—is barely glimpsed, and never really seen as a whole. (This reportedly infuriated the producers who had paid for what was basically a small, stylized medieval village constructed solely for the film.) But Dreyer’s interest in the scenery had less to do with visuals, and more to do with providing his actors an environment in which they could feel they were really living: the set was built to contribute to the internal authenticity of the performances, not to be the star of the film. Even today, Dreyer’s reliance on close-ups in Joan is startling; it is almost impossible to think of another film that depends so strongly on facial expressions. The impact of his technique is enhanced by the fact that Dreyer forbid his actors to wear any make-up at all, and shot the film on panchromatic stock, a recent innovation that allowed Dreyer (and director of photography Rudolph Maté) to capture the natural skin tones and textures of the actors’ faces. Compared to the smooth, luminous, pancake-white visages found in most silent films of the era, Dreyer’s faces are fascinating, naturalistic landscapes of light and shadows. This disorientation is aided by the elaborate set. Though based loosely on actual medieval drawings, the sets by production designer Hermann Warm (who was also responsible for the highly Expressionistic sets in The Cabinet of Dr. Caligari) are subtly distorted throughout, providing false perspective with oddly-angled walls and windows. Though not as extreme as in Caligari, the sets contribute—almost subliminally—to the viewer’s sense of Joan’s emotional turmoil. 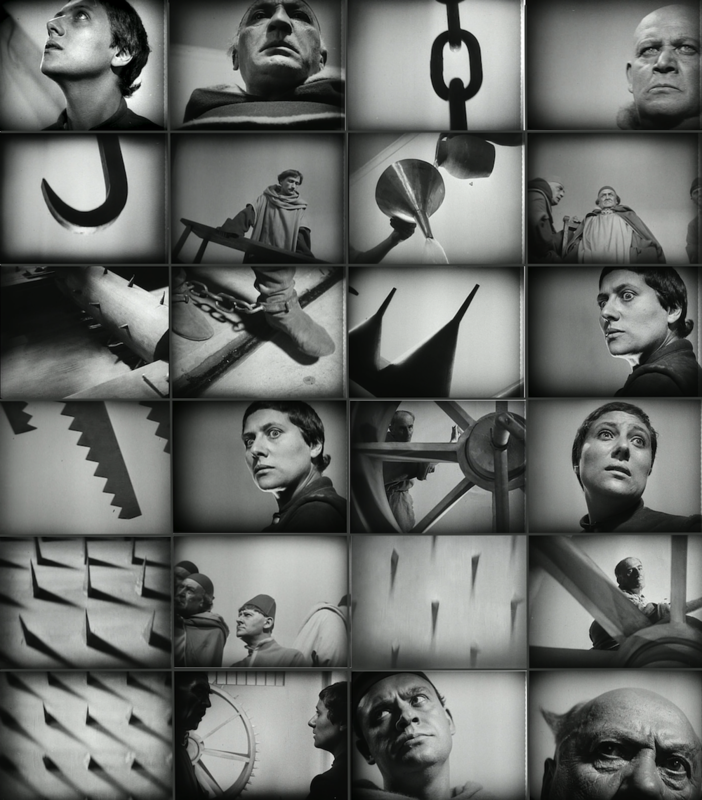 Dreyer also composes his shots strangely: while we are accustomed to seeing the subject of each shot more or less centered in the frame—and mostly, in silent films, shot from straight-on—Dreyer shoots from literally every angle, and often uses the frame to crop off faces, or else relegates figures to tiny corners of the screen. Almost any sequence in the film could be used as an example of this discontinuity, but I’ve chosen what I think is one of the sections of the film where it is used to the best effect: the long scene where Joan is threatened with torture. The shots above represent less than 60 seconds of actual film time, but Dreyer cuts rapidly between seemingly unconnected shots—about one every two seconds—with no effort to transition the viewer smoothly from one to the other. We might assume that we are experiencing an impressionistic compilation of Joan’s subjective view of the situation, and we would not be completely wrong: that is, certainly, part of the effect achieved, as Joan’s terror at the various implements of torture mounts. But it is too simple to say we are in Joan’s point-of-view: though he keeps cutting back to her face, Dreyer makes no effort to match what she is looking at with what we are seeing, and changes the angle on shots without any corresponding change in position from Joan. We are there in the room, but we are jumping all around, experiencing Joan’s emotions but seeing with the chaotic freedom of the camera. Dreyer was a huge fan of Eisenstein’s Battleship Potemkin, and it is easy to see Eisenstein’s influence here (and throughout The Passion of Joan of Arc). The rapid cuts, the disregard for continuity, the emotional impact heightened by the increasing speed of the montage and emphasized by the turning of the gigantic wheel: all of these things harken back to Potemkin. But Dreyer takes it further than Eisenstein did: where Eisenstein used montage to carefully control the viewer’s reaction for very specific purposes, here Dreyer uses it more to disorient the viewer, and put us—emotionally, and sensually—in sync with Joan’s emotionally overwrought state. It is certainly less precise than Eisenstein’s method—less carefully controlled—but I’d argue that the effect is far more personal, and ultimately far more humane. Bordwell goes on to argue that the entire film is dialectic, with all of the other characters existing to function as participants in dialogues with Joan. (He points out, correctly, that—though all the judges were based on historical figures, and we know who each one is supposed to be from the historical record—no character in the film is ever named apart from Joan. She is our anchor, she is our focus, and she is, ultimately, not just the hero but also the battleground on which this fight is taking place. Tellingly—according to Tybjerg—Eisenstein himself viewed The Passion of Joan of Arc as “very interesting and beautiful, but not a film: rather, a series of wonderful photographs.” Furthermore, he said, “I don’t find much in individualism.” Eisenstein, of course, is an extreme example—as I discussed in my post on Potemkin, he didn’t believe in individual heroes at all—but his reaction supports my argument that what we are witnessing in Joan is, in cinematic terms, nothing less than the full invention of the human being. For if we look at the other films we’ve considered so far—from Caligari to Metropolis—we see that we have yet to meet a real movie character. Potemkin, of course, has none: though the way Eisenstein filmed the faces of his cast is closest to what Dreyer does here, Eisenstein was interested in universal physical types and politically symbolic stand-ins, not individuals. In Caligari and Metropolis the characters are very broad indeed, and so is the acting: the individuals are generally one-note types, and their acting is all to clarify the action: it is directed entirely outward, not inward. Murnau, in Nosferatu, perhaps comes closest to realizing real people on-screen—particularly in the character of Ellen (Greta Schröder)—but anything Schröder was asked to communicate with her face was also in service of the plot: we see her decide to do things, or react to things, or fear things. It is hard to recap a film in which all the significant action happens in facial expressions—and impossible to do justice to Falconetti’s extraordinary performance—but let’s look at a few moments. These are all from the scene towards the end of the film, in which the judges haul an exhausted Joan out into the courtyard and force her to sign a confession by threatening her with the stake. Joan is surrounded by people—the judges are all looking on, one of them is accusing her of her crimes and threatening her, and a crowd of supporters has gathered to watch—but everything that matters is happening on Joan’s face. We see her look at a part of the courtyard where a gravedigger has unearthed a human skull, and we see this symbol of death register on her face. In her fear and indecision, her eyes fall on some flowers: though scraggly, they are an obvious reminder of beauty, of life. She is not a happy martyr, but a scared young woman who wants to live. And we see the fear play on her face as she grapples with this decision between life and death. Finally, with the judges (her enemies) and the crowd (her supporters) all urging her to save her own life, Joan signs the confession placed before her. She has chosen life, and for almost the first time in the film we see her smile as relief washes over her. But it is the wrong decision, a betrayal of her faith and a renunciation of God. Almost immediately, we see the smile fade as this realization begins to come over her face. Put another way, the close-ups in The Passion of Joan of Arc—and the acting in general—are not simply illustrations of the story, they are the story. Dreyer could easily have invented dialogue and additional scenes that would communicate his vision of Joan’s story, but instead he stuck to the transcript of the trial and trusted this new, entirely visual medium—and his actress—to silently convey everything that needed to be conveyed. This, to me, is why Dreyer’s film is such a landmark in film history. We can go back to that quote from Dreyer above: “The significance of the cinema as a new art form resides in the ability to reproduce and conserve these shifts of facial expression.” Unlike earlier films, which seemed so heavily influenced by theater—and in which actors so often seem like pantomime puppets—Dreyer unleashed the unique potential of film to reveal the complexity of humanity: not through action, or words, or symbolism, or Expressionistic design, but by capturing the subtle shifts in the human face. Acting—as he and Falconetti proved—does not need to directed broadly outward to convey meaning: the medium of film is a sensitive one, and a humanistic one, capable of registering the internal drama in a single soul. Ironically, this extraordinary sensitivity is almost certainly one of the reasons that The Passion of Joan of Arc flopped. Audiences were unused to such complexity of character on-screen, and they resisted this wholly realistic saint: they wanted a more heroic Joan, the triumphant warrior and pious martyr captured in countless paintings and statues and stained-glass windows. Dreyer and Falconetti didn’t give them that: they presented a real woman, scared and flawed, one painfully, undeniably human. She is a hero, but her heroism does not come easily; she is a martyr, but she does not go to her death joyously and fearlessly. Throughout the film, she says God has promised her that she would be delivered from prison after a great victory, and by the end of the film she has accepted that the victory is her martyrdom, and her deliverance is death. She has made the connection between her own story and Christ’s, and she is confident that she has God’s grace—but she is still a 19-year old girl, scared of death, scared of the stake, scared of the flames. She is more heroic because she wants, so badly, to live. This kind of raw humanity, captured on-screen, is the truly remarkable triumph of The Passion of Joan of Arc. The argument can be made that, up until this point, the medium of film had been something of an objectifying one, transforming actors into little more than shadow-puppets. What Dreyer saw was the potential for celluloid to capture real human emotions, and what he and Falconetti achieved was nothing less than the first genuinely human character on film. Coming Up on the Syllabus: First of all, my apologies (to any of you who might have been trying to actually follow along) for the lateness of this post. I’m going to stop pretending I can predict exactly when these will go up, but I will endeavor to keep the series moving at roughly one per week. Next on the schedule is Russian director Dziga Vertov’s experimental silent film Man with a Movie Camera (1929). 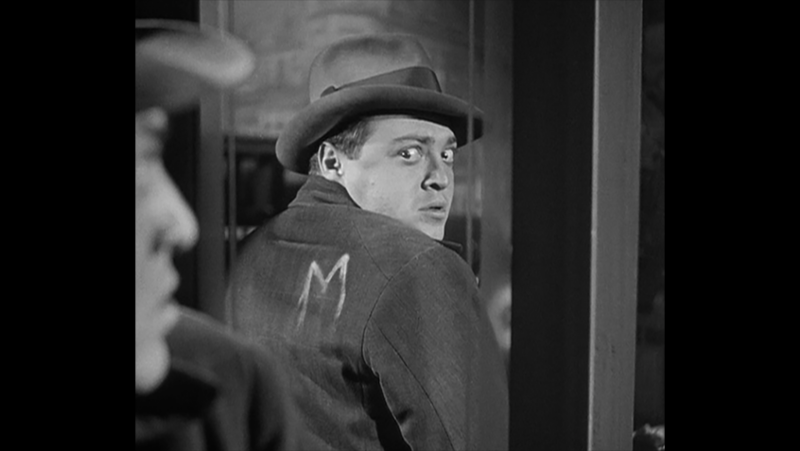 Then we finally plunge into the sound era: first by revisiting Fritz Lang for his 1931 classic M, and then heading back to France for Jean Vigo’s L’Atalante (1934).